Home French mortgage toolsNews	French Fact Friday! Do you think you have a good knowledge of France? We bet you won’t know these French facts! France is still temporally stuck in the occupation timezone. During the Second World War, France’s time zone was changed to align the country with its German Occupiers. This change was never rescinded. Before the war, France had been on GMT +00:00 – the same time zone as London. The French commune with the shortest name is ‘Y’, in the Somme area. Its inhabitants are referred to as Ypsiloniens. The French Army is the only army in Europe that still counts Homing pigeons amongst its ranks. Housed in Mont Valérien near Paris, these pigeons can be used in the event of a major catastrophe to transmit messages at speeds of up to 120km per hour. ‘Le Procope’ is the oldest restaurant in Paris, having been open and in continual service since 1686! This makes the restaurant an incredible 331 years old. France was the first country to have its national cuisine awarded UNESCO World Intangible Heritage Status in 2010. It is one of only 3 countries to be awarded this status alongside Japan and Mexico. Mont Saint-Michel is one of the most famous sites in the world. The island commune, believed to be the inspiration for Disney’s famous castle, is visited by more than 3 million people each year. French Victor Hugo’s Word famous book Les Misérables was completed on this date in 1862. It has achieved worldwide critical success and remains the most read piece by any french author to date. which are all pronounced the same. ‘French Fries’ are in fact, not French at all. Originating in Meuse, Belgium in 1608, these tasty treats are normally served in mayonnaise and are a pop-cultural and national emblem for Belgium. Time for our fun fact of the week! Being a recording artist in France means that you get guaranteed airtime! From 1994, French Radio stations have to play French songs for almost half of each show. The French word for Bins ‘Poubelle’ is actually derived from the name of a former Parisian diplomat and Préfet Eugène Poubelle (1831-1907), who gained his fame by introducing the rubbish bin to the people of Paris. Whilst French cities are known for their charming rivers, they also boast canals to rival that of Venice. The most famous, the Canal du Midi is the oldest functional canal in Europe. constructed between 1666 and 1681, it measures 240 km with a staggering 126 bridges and 55 aqueducts. As if to prove obsessed the French are with their ‘gastronomie’, they have incorporated food into the strangest of sayings! For example, ‘Avoir le cul bordé de nouilles’ literally means ‘to have a bottom full of noodles’, but is actually a way of saying how lucky someone is! Another is “C’est la fin des haricots” or, literally, “it’s the end of the beans. No big deal you’d think but in reality you are saying ‘it’s the end of the world!’. And lastly, how about ramener sa fraise or ‘bring your strawberry’? This means to poke your nose in or give your two cents worth uninvited! Do let us know if you have any other favourite phrases! The names of communes across the French Borders are often named using a mixture of French and its neighbouring countries language. The Franco-Germanic town of Souffelweyersheim in Alsace and the the basque town of Cambo-les-bains are perfect examples of this. For Easter, French Children do not have an Easter bunny. Instead, children are gifted with “les Cloches de Pâques” – Flying Easter Bells made of chocolate, these signify the folklore tradition of the church bells which fly to Rome to be blessed by the pope on Good Friday “Vendredi Saint” and return on Easter Sunday with presents for all. The longest french word in the dictionary is: anticonstitutionnellement which boasts 25 letters. Wine, that cultural nectar of France, is so vital to French tourism that the activity of “visiting wine producing regions and their vineyards” was officially termed œnotourisme in the early 2000s. Braille, the universal reading language for blind people was created by two Frenchmen. Charles Barbier’s ‘night-writing’ system for the military was changed and revised by Louis Braille to become the system currently adopted by most countries today. We often think of French cuisine as healthy, rich and varied with its array of rustic dishes, leafy salads and light options. Surprisingly, France is also home to the Piémontaise and the Salade du Sud Ouest which can contain up 490 and 600 calories respectively. This means that ordering a salad in France may not always be the most healthy option. The baguette holds a special place in French Society. As well as having over 12 meanings, the sacred ingredients of this common bread sold in quantities of over 10 million a year is actually dictated by law. A traditional baguette must only contain flour, yeast and salt. Nouvelle-Aquitaine is the largest region in France, with more land mass than Austria. It is also one of the most biologically diverse areas of France, boasting the largest sand dune (Pilat) and the largest Estuary (Gironde) in Europe. There are two places in France that are famous for their association with Valentine’s day: the village ‘Saint-Valentin’ and the town Saint-Amour-Bellevue, which have become popular tourist destinations in latter years. Both are technically hamlets with populations of 283 and 532 respectively and boast one hotel each! During the Second World War, the D Day landings were on the Normandy beaches under the code name Operation Overlord. The inhabitants of Aix-en-Provence are called Aixois or, less commonly, Aquisextains. The French don’t make a kissing noise or say “mwa” – they say “smack” (or even smack smack) for the sound of a soft kiss in French. It’s even the common name for a peck on the lips. “Il m’a fait un smack” – he gave me a peck on the lips, a soft kiss. Very different to the English definition of ‘smack’ (as in, to slap). Toulouse is popularly known as the “Pink City” due to the rose-coloured bricks used in the construction of most of the city’s buildings. There is a strong French superstition, stemming from Gallic tradition, that having 13 people around the table is going to bring bad luck. This superstition is believed to have come from the Last Supper, where one of the 13 diners – Judas Iscariot – ended up being a traitor. So if you are ever hosting a dinner party in France, keep that in mind when inviting your guests! Marseille was known to the ancient Greeks and Romans as Massalia. Marseille was historically the most important trade centre in the region and functioned as the main trade port of the French Empire. Lyon’s Tête d’Or Park is the one of the world’s largest urban parks. There are 6,100 streets in Paris. Macarons originated during the Renaissance period. Throughout the 1300s they were commonly made using almonds from Syria and other nearby countries, and arrived in France under their original form of one biscuit. It was not until the 1830s that the modern ‘sandwich’ style became popular in, and indeed synonymous with, France! Louis XIX was king of France for just 20 minutes. 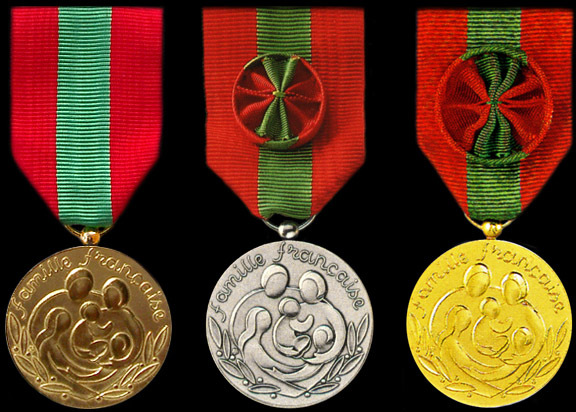 The French government gives medals, La Médaille de La Famille Française ‘Medal of the French Family’, to citizens who have successfully raised several children with dignity. Until the end of the Middle Ages, the French calendar year began with Easter. This changed when France adopted the Gregorian calendar in 1582. French bulldogs’ origins are murky, but most sources trace their roots to English bulldogs. Lace makers in England were drawn to the toy version of the dog and would use the smaller pups as lap warmers while they worked. When the lace industry moved to France, they took their dogs with them. There, the English bulldogs probably bred with terriers to create bouledogues français, or French bulldogs. For two weeks every May, the city of Cannes, France, hosts the world’s most important film festival. The International Film Festival was created on the initiative of Jean Zay, Minister for Education and Fine Arts, who was keen to establish an international cultural event in France to rival the Venice Film Festival. The first one was held on 20 September 1946. It was subsequently held every September – except in 1948 and 1950 – and then every May from 1952 onwards. The moldy blue-green veins running through Roquefort cheese are, in fact, the seeds of microscopic mushrooms picked in the caves at Roquefort, France, then cultivated on leavened bread. The word “salut” means both “hello” and “goodbye”. Chamonix’s Aiguille du Midi cable car climbs from the valley floor to a terrace beneath the Aiguille at 12,392 feet (3,777 m) in just 20 minutes. Swung into action in 1955, the Aiguille du Midi is known as Europe’s highest and scariest cable car ride. Outrage has erupted in France after a language moderator approved changes to the spellings of thousands French words in an attempt to simplify the language. At least 2,400 spelling changes will be implemented, however the change that has sparked the most fury is the removal of the traditional circumflex accent (^), which will disappear above the vowels “i” and “u” in certain words. The flag of France is the Tricolor. The original use of the three colour flag dates back to 1789. The colours were used to represent a good relation between the King and the city of Paris. It was meant to be Paris re-conquered by it’s King. The colour white represents the royalty and the blue and red colours were to be the arms of the city. France is one of the only Latin based speaking countries not to use the QWERTY keyboard. They use the AZERTY keyboard. Despite its name Pont Neuf (New Bridge) is the oldest of the Paris bridges, and was the first road in Paris to benefit from pavements separating pedestrians and traffic. It was also the first bridge to be built without houses on it. In 2013 France sold more electric cars than any other European country – with 8,779 registered vehicles, France sold more than twice as many as Germany and Norway. Certain types of cake and tart are associated with New Year’s Day and the first half of January. These include heart shaped cakes (le coeur de l’ an) and log shaped ‘cakes’ made of ice cream (gateau glacé). These cakes are often decorated with symbols of the winter season and good luck charms for the coming year, such as birds, evergreen trees, bells, golden balls and chocolate coins. King’s cake (la galette des rois) consists of a puff pastry case filled with frangipane. Frangipane is made with eggs, sugar, butter and ground almonds. The cakes are sold with a paper crown on top. A dried bean, small coin or ceramic figure is hidden in the filling. The person who finds the bean, coin or figure in their portion is ‘king’ for the day and wears the paper crown. Merry Christmas from Mortgage France! Foire Gras is a traditional French dish, usually served on Christmas Eve/Day. Foie gras – French for “fatty liver” – is the enlarged liver of a duck or goose, produced through force feeding. In France, Father Christmas / Santa Claus / St. Nicholas is called Père Noël (Father Christmas). In eastern France he is accompanied by Le Pere Fouettard, a man dressed in black. He might be the same person as Zwarte Piet in The Netherlands. France is one of the most visited countries in the world – in 2015 it is expected to break the world record with 85 million visitors, and by 2020 this number will hit 100 million visitors per year. French has more than a million words and 20,000 new ones are created every year. Kinshasa is the world’s second largest French speaking city, after Paris, and before Montreal and Brussels. More than 80 percent of the population are Roman Catholic – plus some 5–10 percent are Muslim, 2 percent are Protestant, 1 percent are Jewish, and 4 percent are not affiliated to any religion. French is one of the Romance languages. These languages, including also Italian and Spanish, have their origins in the Latin language. Today, French is the second most studied language after English and spoken by more than 300million people around the world as first or second language. ‘Le Procope’ is argued to be the oldest, single running café in Paris. It was opened in 1686 in the Quartier Latin, where it still stands today! It quickly grew a loyal clientele including the city’s brightest intellectuals, and soon became the world’s first literary café. The word ‘mortgage’ comes from a French legal term meaning ‘death pledge’. There are approximately 40,000 châteaux in France! This includes medieval castles, castle-farms, manors, stately homes and palaces. The average person in France consumes 10.9 liters of pure alcohol per year, compared to 8.2 liters in the UK and 6.3 liters in the U.S.
April Fool’s Day in France stems back to the 16th century – if you’re in France on April Fool’s Day, don’t be surprised if children try to stick paper fish onto your back and call you a ‘Poisson d’Avril’ (April Fish). This April 1st tradition is supposed to have started in the 16th century when King Charles XIV of France changed the calendar and those who continued to celebrate the end of the New Year at the end of March were ridiculed as fools. In February the Eiffel Tower was named the most popular spot in the world to take a selfie. According to tourist attraction site AttractionTix, the French landmark beat Disney World in Orlando, Florida and the world’s tallest building – the Burj Khalifa – in Dubai and London’s Big Ben to take the top spot. Although croissants are associated with France, they actually started in Austria. The crescent was the symbol of the Turkish. When the Austrians defeated the Turkish in a battle over three hundred years ago, the French chef employed by the Emperor of Austria decided to make crescent-shaped pastry (in the shape of the Turks’ emblem) for the Austrians to eat in celebration – meaning they were crushing and chewing their enemies! When the chef returned to France, he made his ‘invention’ popular there too. This type of pastry is referred to in French as la viennoiserie, meaning – Viennese pastries. French wines can reach sky high prices – in 2013, a limited edition Balthazar – a massive 12-litre bottle – of Chateaux Margaux 2009 produced in the Médoc to the north of Bordeaux, went on sale in Dubai for an eye-watering £122,380. France is divided into 22 metropolitan regions, and its five overseas regions called Dom-Toms. The world’s first artificial heart transplant, and face transplant, both took place in France! In France you can marry a dead person. It is called ‘Posthumous marriage.’ France has had hundreds of requests each year, of which many have been accepted. The oldest women who ever lived was a French lady – living from February 21, 1875 (the year before Alexander Graham Bell got his patent for the very first telephone and Custer’s Last Stand) and died on August 4, 1997. The Louvre Museum in Paris was the most visited museum in the world in 2014 – with an amazing 9.3 million visitors, it received almost the same amount of people as the population of Sweden. During WWII, when Hitler visited Paris, the French cut the lift cables on the Eiffel Tower so that Hitler would have to climb the steps if he wanted to reach the top. France once controlled more than 8% of the worlds land. Beauty pageants for children were banned in France in 2013. They are punishable with up to 2 years in prison, and a €30,000 fine. The word denim is an Americanization of the French name for the fabric “serge de Nîmes,” or “Serge from Nîmes” which was discovered during the Middle Ages. The contemporary use of the word “jean” comes from the French word for Genoa, Italy (Gênes), which is where the first denim trousers were made. Denim made it’s way to the USA in the late 18th century. It was introduced to California by Levi Strauss—who in 1853, during the California Gold Rush, imported denim fabric from France and used it to create sturdy, solid trousers, that would later become the commonly worn blue jeans. France’s highest point, which is also the highest point in Europe, is Mont Blanc, at 15,771 feet (4,807m) high. The mountain is located in a range called the Graian Alps, which is between the regions of Aosta Valley, Italy, and Haute-Savoie, France. The Mont Blanc massif is popular for mountaineering, hiking, skiing, and snowboarding. Potatoes were banned in France between 1748 and 1772, as the French feared it caused Leprosy. The potato was only used as pig food. Even the peasants that were starving wouldn’t eat it! France was the first country to introduce the licence plate, In August 1893. The French are the inventors of the first digital calculator, the hot air balloon, the parachute, Braille, margarine, Grand Prix racing, and the first public interactive computer, but French toast and French fries aren’t French inventions. There is a coffee shop in France, where not saying ‘Hello’ and ‘Please’ makes your coffee more expensive.